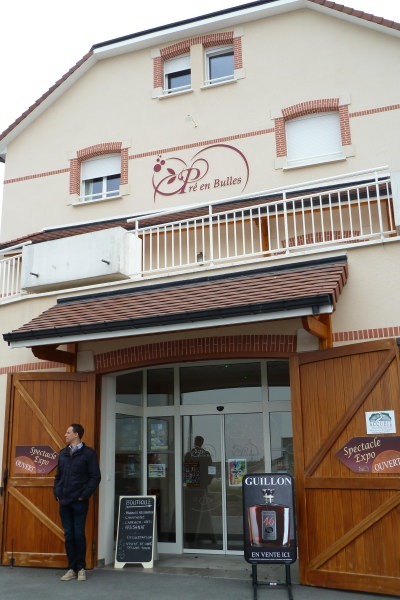 When in the Champagne region, you obviously visit producers, as many as possible. But with all that tasting you might miss out on outstanding places of interest above the ground. If you spot something worth your while driving from one producer to the next, feel free to deviate from your schedule and admire a sweeping view, an historic building, an interesting museum or a gigantic champagne bottle. Things to see ... and do! 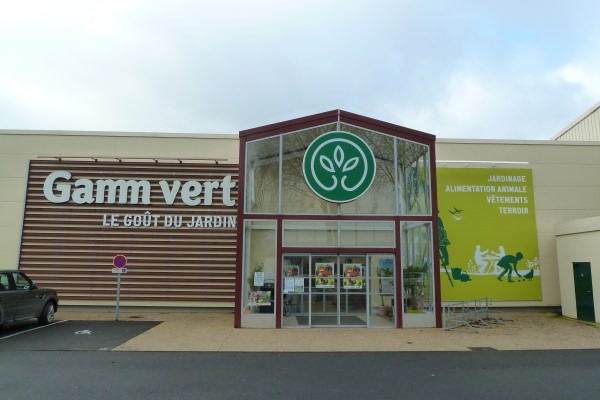 The Gamm Vert is a chain of garden and hobby shops where, especially in the heart of the Champagne region, you’ll find lots of champagne accessories. If you are looking for the perfect champagne glasses, ice buckets for more than one bottle, an ornamental rack (pupitre) for your wine cellar or other accessories, be sure to pay them a visit. Prices are noticeably lower than in the shops in the centre of Reims or Epernay and they have ample choice. Cocoa butter lowers the level of potentially harmful cholesterol and increases the level of good cholesterol. So perhaps it’s a good idea to alternate your numerous champagne-tasting visits with a visit to Chocolaterie Thibaut in Pierry. Take a guided tour and discover the whole process from the cocoa bean to the speciality of the house: a chocolate champagne cork filled with marc de Champagne or ratafia,. More info: www.chocolaterie-thibaut.com or call: 03 26 51 58 04. This Romanesque church dates from 1108. Riots throughout the ages caused the initial village round the church to disappear completely. Even the church didn’t survive the religious wars without being damaged. You can tell this by the renaissance influences used to restore the building. The whole village was rebuilt somewhat further away, so that the ‘Eglise Saint-Martin’ solitarily dominates the valley of the river Cubry and is the perfect subject for a snapshot, every hour of the day, all year long. 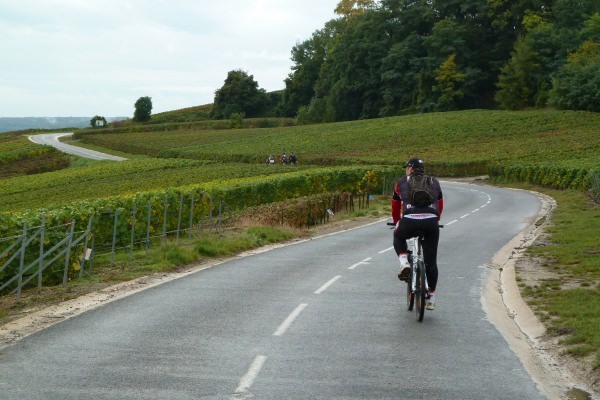 Agreed, the Champagne region is not flat, but you don’t have to be a trained cyclist to discover this fabulous region by bike. Even a weekend cyclist, with a perfectly tuned bike, can easily conquer the slopes. 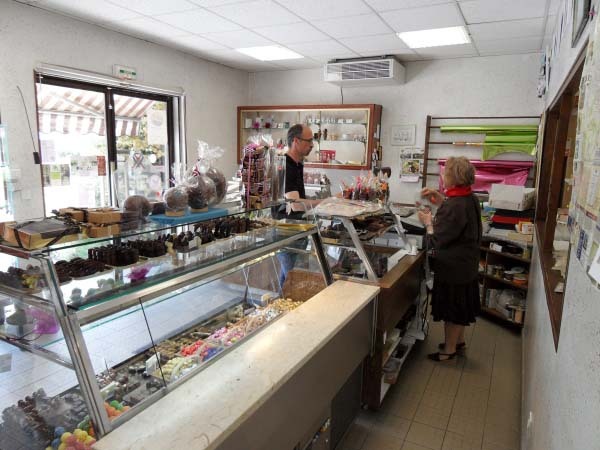 At “Pétillantes Découvertes” you can rent solid material at a very reasonable price, from the latest fashion in mountain bikes to hybrid bicycles, which make cycling a piece of cake. You can start your cycling-tour in Chavot, where the bikes are laid up, or you can ask the organisation to bring the bike to the starting point of your choice. You can map out your own way or follow an experienced guide who will take unknown paths to lead you to the most beautiful spots. We followed the footsteps of “champagne cyclist” Freddy Maertens ( who won 15 étapes in the Tour de France and was World champion twice), filled our water bottle with champagne and experienced our own tour de France. We steered our iron horse through woods and vineyards and enjoyed the breath taking views and… a sip from our champagne bottle. Cycling through the vineyards with “Petillantes Découvertes”, what a way to pass a sunny Sunday in the Champagne region. 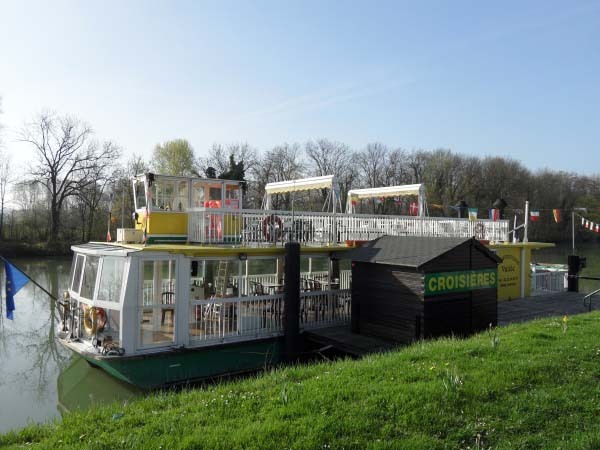 Board the ‘Champagne Vallée’ in Cumières for an afternoon or evening cruise and experience the sensation of a Mississippi steamer. Discover the fauna and flora of the river Marne from the panoramic room, the bar or the spacious sun deck. Just enjoy the tour or savour a cabaret meal in the restaurant. Make sure to book this unforgettable cruise in time because the seats are limited and the cruises are very popular. Moreinfo: www.champagne-et-croisiere.com or call: 03 26 54 49 51. 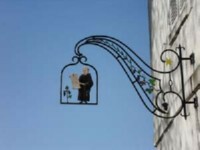 This is the cradle of the champagne, where the famous monk Dom Pérignon used to live and work. A maiden visit to the Champagne region isn’t complete without a visit to this unique village. Take some time off to stroll through the picturesque alleys alongside the façades with eye-catching wrought-iron signs from times gone by. Don’t forget to walk past the Benedictine Abbey, founded by Saint Nivard. According to the legend, a white prophetic dove indicated the spot where he should build the new monastery. Past the abbey you can enjoy a breathtaking view of the valley of the Marne. 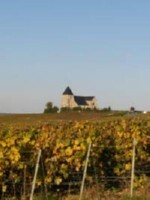 Hautvillers is also a Premier Cru Village. Combine a visit of this charming spot with a degustation at a champagne producer. When leaving Epernay in the direction of Reims (N51) the road rolls towards the woods of the Montagne de Reims. Look over your shoulders and enjoy the impressive panoramic view of the vineyards. Turn around a little bit further and follow the ‘Chemin du Paradis’, a winding country road through the glorious vineyards. 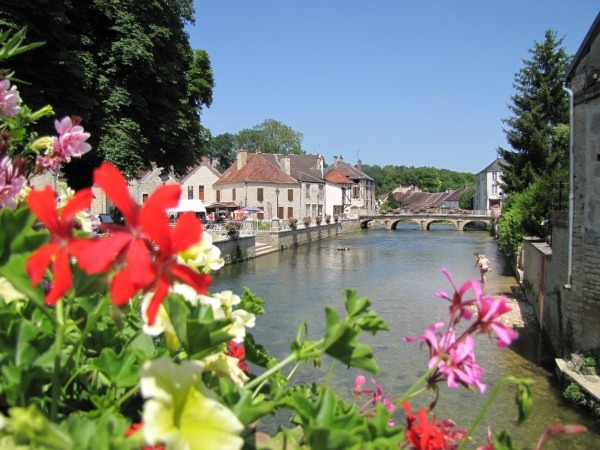 The picturesque road starts at hotel ‘Royal Champagne’ and meanders via Champillon into the centre of Hautvillers. 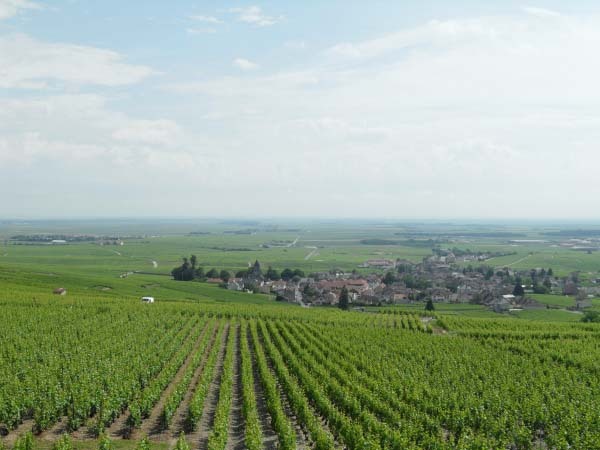 Is this your maiden-trip to the Champagne region? Or are you a “habitué”? 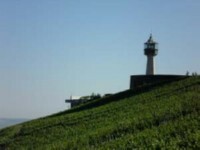 Either way, Vini-Vizit is your ideal partner for a memorable visit to the region. Céline Monbaillu is Flemish and speaks fluent Dutch, French and English. In 2008 she lost her heart to the Champagne region and to a local winegrower. With Vini-Vizit she organizes lots of champagne-linked activities. She’s your perfect guide in this splendid region. Do you want to unravel the secrets of the vineyard or those of the picturesque town of Hautvillers? Would you and your travelling companions like to be submerged in the champagne-spirit, discover if you can pass an aroma test, taste the difference between different types of champagne whilst savouring regional specialties in an authentic environment? Or discover new champagne producers who’ll surprise you with their quality-bubbles? Then leave the organization of your next excursion in the capable hands of Céline. Even we, who frequently visit the region, were charmed by the jovial way in which Céline towed us along. Vini-Vizit is the perfect embodiment of www. 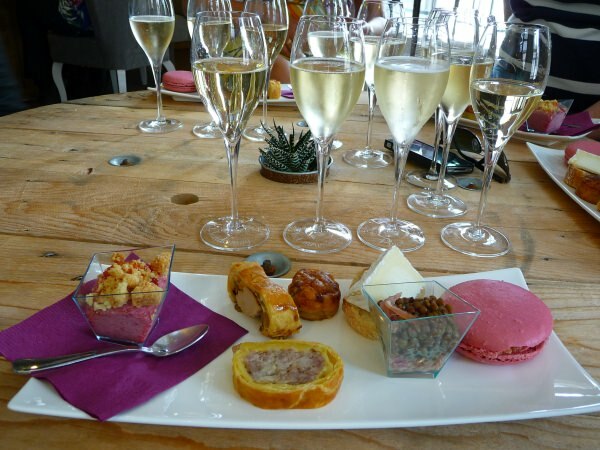 champagnevisit.be in the Champagne region and a true revelation. When we entered "Au 36" we felt like kids in a sweetie-shop. The magnificent wallboards, visualizing the different tastes and aromas of champagne, immediately told us what Au 36 is all about : let bubbles prickle your senses. You can make a reservation for a professional tasting, hosted by a oenologist, a sommelier or a chef de cave, in your own language (English, Dutch, Chinese,…). This charming shop not only sells a wide range of champagnes at producer prices, but also nice must-haves. We would recommend that you sit down in the cosy interior or on the summer terrace, taste a selection of champagnes and enjoy a tasty plate of local specialties. Au 36... a must do. 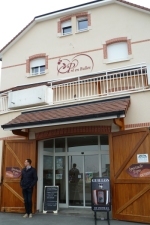 As soon as we open the door of “La Cave du Bois Joli”, we are overwhelmed by Ludovic’s passion for wine and champagne. The vast collection of champagnes, exclusively from family owned champagne houses, immediately draws our attention and makes us crave for a drink. So we decide to enjoy one of the exclusive champagnes Ludovic sells by the glass. 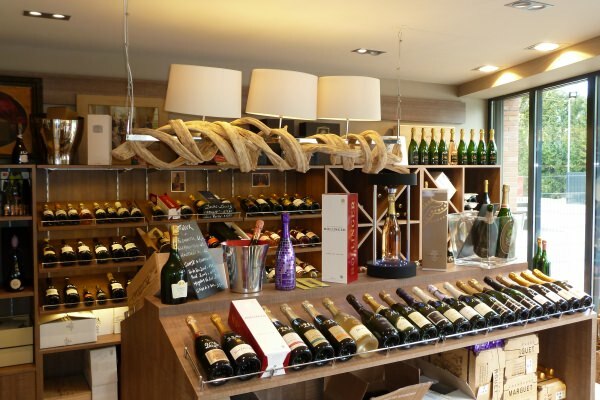 Sipping from a glass of Blanc de Blancs Vintage 2004, we explore the shop and discover an important selection of wines, not only French ones, and an extensive collection of gadgets we find hard to resist. The real jewels, however, can be found in the cellar, where temperature and moistness are constantly monitored. In this treasury a beautiful selection of top wines and old champagnes rest in perfect conditions. 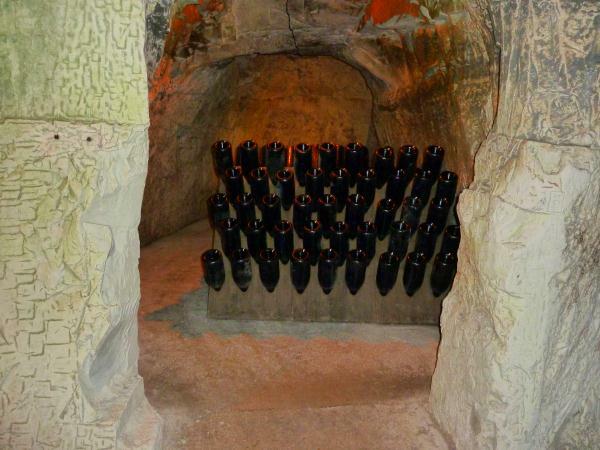 If you are looking for a bottle of bubble from your birth year, the ideal gift for every champagne lover, "La Cave du Bois Joli" is the place to be. 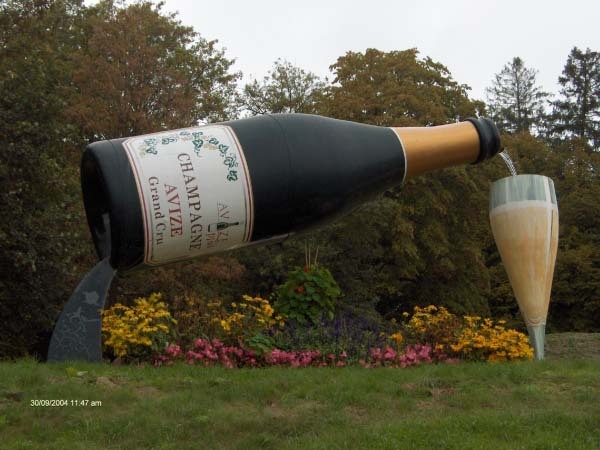 North of Avize, on the road to Grauves, under the treetops stands a gigantic champagne bottle, pouring a breathtaking amount of champagne (proved to be water) into a large flute. When you drive through the Champagne region, you will encounter more of these large bottles.There’s one entering Cramant, coming from Cuis. 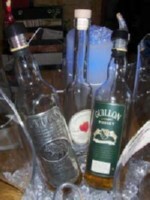 But the most beautiful one is the bottle in Avize, though the fountain isn’t always working. 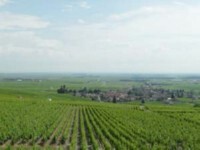 Oger is a Grand Cru village and lies amidst 1000 acres of the most noble chardonnay vineyards. But not only the cellars of this village are worth a visit. The inhabitants are proud of their "village fleuri", their flower village. On every corner of the street and on every square, on every window sill and in every garden there are petunias, geraniums and lots of other flower varieties in baskets, tuns, grape presses,... Even the 12th century church has a beautifully kept garden, open to the public. 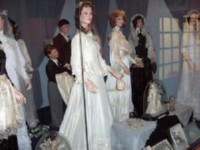 Oger has a remarkable museum: le Musée du marriage. It submerges you in the married life of our ancestors (1800-1940). Besides an enormous collection of wedding bell glasses, jewellery, furniture and other curiosa from the past, there’s also an extensive collection of pre-war champagne-labels. These remarkable collections can be admired on the lovely domain of Champagne Henry de Vaugency. After your visit to the museum, you can taste the Blanc de Blanc Grand Cru of this house in their centuries-old cellars. More info: http://www.champagne-henry-devaugency.fr/musee-ang.html or call: 03 26 57 50 89. - 'Le musée de la goutte et de la tonnellerie’: in the 19th century families used to distil their own liquor from fruit (la Goutte) in the common distillery. You will also find a tribute to a trade which has nearly died out : the making of barrels. In the heart of the Montagne de Reims, lies Louvois. In the middle of the woods there’s a unique French whisky distillery: Distillerie Guillon. Every whisky lover travelling through the Champagne region simply must take a halt there! Discover the Single Malt de la Montagne de Reims and the Guillon N° 1, made with natural spring water and matured in wine barrels from Meursault, Puligny, made of French oak. or call: 03 26 51 87 50. Châtillon sur Marne originated in the Gallo-Roman period, when the Romans built the fortress ‘Castello Super Matronam’ on the intersection of important roads and so dominated the valley of the river Marne. The once so dominating fortress did not withstand the attacks throughout the ages, only part of the fortified walls survived. In 1042 Odo of Châtillon was born here. He was a monk who, thanks to his progressive ideas, was ordained pope in 1088 : Urban II. Together with the Norman armies, Urban II succeeded in elbowing out his anti-pope Clemens III (a Catholic Church leader elected out of protest). He would go down in history as the pope who preached the first crusades. His saying “God wants it” became the battle cry of the crusaders. Urban II died on the 29th of July 1099, just after the crusaders seized Jerusalem. He runfortunately died before the good news reached him. Today, his impressive statue adorns the hills of Châtillon. 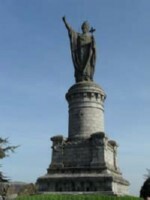 On a pedestal of 16 meters, the 9 meter high figure of Urban II dominates the valley of the Marne. 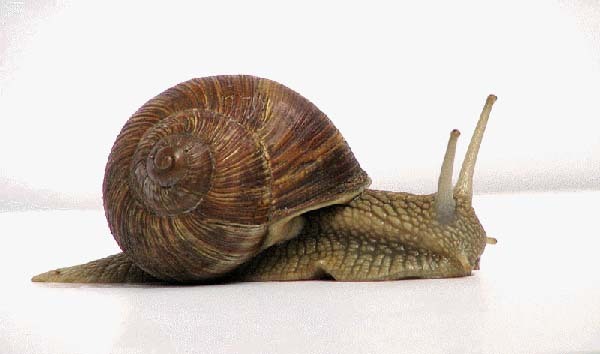 Visit a unique museum, Le Musée de l’ Escargot en Champagne, where you learn all about snails, from their procreation to their gastronomy. Observe these creautures, together with their young and discover their therapeutic qualities. After your visit you can taste the ‘cassolette des vignerons’ and wash it down with a glass of champagne. 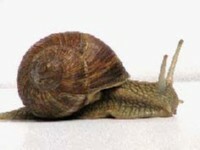 You can buy pasteurized fresh escargots, escargot pie with ratafia and different cooking recipes. The ‘Musée de l’Escargot en Champagne’ lies in Try-Dormans and can be visited all year long by reservation. More info: www.equantys.com or call: 0033 3 26 58 10 77. The Perching Bar is a champagne bar with a “high” exclusivity (7 meters high to be precise). The bar hangs high in the treetops of the Verzy-woods, not far from the well-known “ Faux de Verzy”(curious trees) and can only be reached by crossing a suspension bridge. 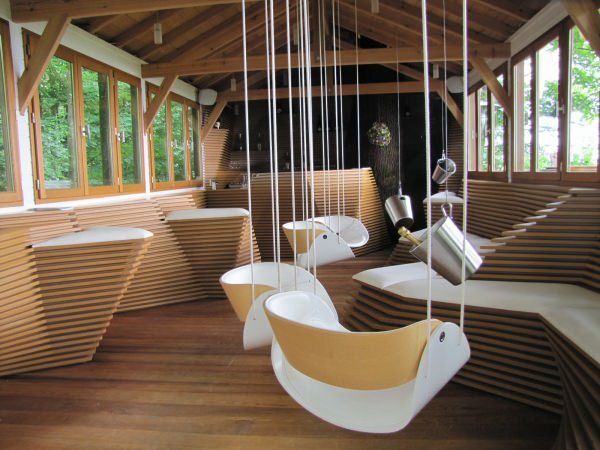 In the classy modern interior you can enjoy a glass of bubbles while you’re softly swinging in a hanging chair. The whole concept is quite ecological. The electricity is generated by solar panels and at the bottom of the bridge there’s a very “green” toilet. The aim of the unique bar is not to become a popular tourist attraction. It’s a rather exclusive must-see. The Perching Bar is a popular location for firms who like to use the exclusive location for their presentations. So, you’d better call before you plan a visit. In the museum “Pré en Bulles” robot Créabulles guides you through an audio visual track and visualizes the whole champagne-making process. Pré en Bulles is situated in Trépail and is one of the most recent museums in the Champagne region. There’s a restaurant, a boutique with several regional products and you can even stay the night. or call: 03 26 53 50 00. A lot of large champagne houses are open to the public, but if we have to make a choice, Taittinger would be the one. The bubbles of this flamboyant family have not yet been absorbed by a consortium offering a battery of champagne brands. Champagne Taittinger is still family-managed. The story of Taittinger begins in 1932 when Pierre Taittinger buys a 200 years old champagne house and starts his own brand. Champagne Taittinger develops into one of the most important champagne brands and is now one of the 10 biggest champagne producers worldwide. For a short period, in 2005, Champagne Taittinger was in the hands of an American investment group. But the Taittingers didn’t enjoy their life of leasure and one year later Pierre-Emmanuel Taittinger, grandson of the founder, bought the sparkling family heritage back. Today he runs Champagne Taittinger together with his son Clovis and his daughter Vitalie. A recent smart move of the owners is the exclusive sponsorship contract they were able to sign with FIFA. For the first time in history, the world football federation joins forces with a champagne brand. Champagne Taittinger chose not to link its name and prestige to the expensive golf sport or the polo game of the jetset, but to the popular game of the common people: soccer. In Reims, where everyone knows the Taittingers love football and the local club “Stade de Reims” in particular, the cellars of the champagne house are open to the public. Champagne Taittinger was founded on the remains of Saint Nicaise Abbey, a Benedictine abbey which was destroyed during the French Revolution. The catacombs of the abbey used to be a silent haven where the monks found peace and repentance. Nowadays the prestigious cuvées of Champagne Taittinger mature in these underground vaults and in the Galo-Roman crayères (chalk cellars) they are connected with. In the middle of the Grand Cru vineyards of Verzenay stands an eye-catching tower: Le Phare. This tower was erected by a winetrader at the beginning of the 20th century as a publicity stunt and originally housed a restaurant and a pub. Since 1999 the tower has housed « Le Musée de la Vigne ». In this magnificent museum audiovisuals guide you through the fascinating world of the vineyard and the art of making champagne. If you are up to the challenge of climbing the 101 steps of Le Phare, you are rewarded with a breathtaking view of the vineyards, the mill of Verzenay and even the cathedral of Reims, 9 miles away. More info: www.lepharedeverzenay.com or call: 03 26 07 87 87. 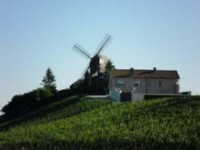 In Verzenay, on the Mont-Boeuf, you can find one of the most photographed monuments of the area : the windmill. It was built in 1818 and hasn’t been used since 1903, when the last miller declared the mill would stop turning when he died. Because of its strategic location, the mill was used as an observation post during both World Wars. Today it belongs to Champagne G.H. Mumm and is very popular amongst Sunday painters and photographers. In the Verzy forest, in the National Park of La Montagne de Reims, you find mysterious trees: Le faux de Verzy. The name is derived from the Latin fagus, which means beech. Their full Latin name is: Fagus Sylvatica Var Tortuosa. These dwarf beeches or contorted beeches really have the most bizarre shapes. 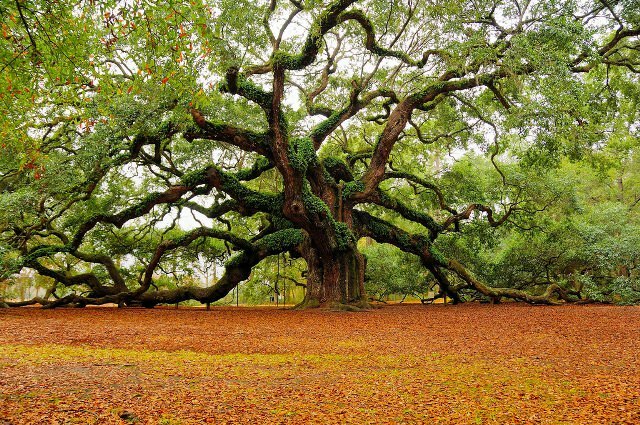 The roots, trunk and branches turn into twisted, knotty trees that grow sideways instead of upward. Amongst those wonderful creations of nature, you find yourself in a magical world of fairies and trolls. One of the legends tells about evil spirits that have contorted the branches with their enchanting music. To tell the truth, science still didn’t figure it out. It’s unknown upto this day what caused this botanical wonder. The Faux de Verzy are easy to visit. The parking sites on the D34 between Verzy and Louvois are well signposted and you can go for a wonderful walk along the Faux, the most remarkable of which have got an original name: the fau umbrella, the bride’s fau and the bullhead fau. You should also go and discover them in autumn or winter time. When the dress of leaves has been thrown off, this scenic beauty is at its best. At the end of the 17th century the bakers of the Champagne region didn’t want to waste the heat that remained in the oven after baking their bread. They used this heat to bake the well-known pink biscuits. These vanilla biscuits were so popular that the first artisanal biscuit shop opened its doors in 1756. This shop, which has been granted a Royal Warrant, came in the hands of baker Fossier in 1845. 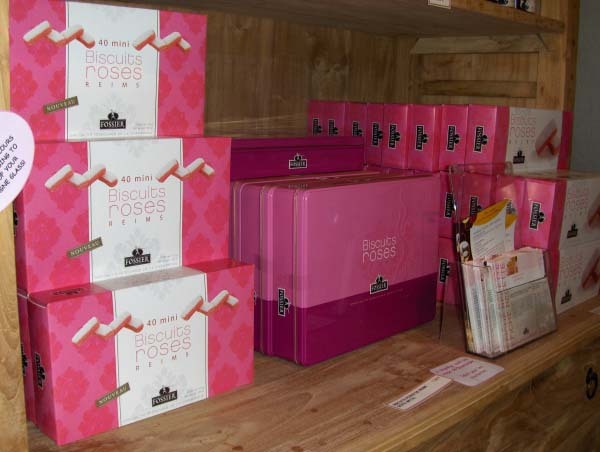 In the following years, the success of ‘les biscuits roses de Reims’ grew and grew. Nowadays these biscuits can be found almost everywhere and more than 100 people work for ‘Maison Fossier’. 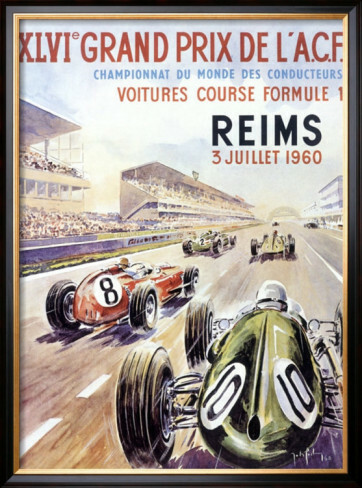 More info: www.fossier.fr or call: 03 26 40 67 67.
Who dreams away thinking of car racing, can ride a lap on the remnants of the legendary circuit of Reims-Gueux. 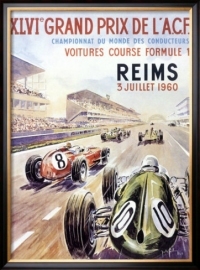 This dazzling public street circuit has been 14 times the venue for the GP Formula 1 of France between 1950 and 1966. The triangle route was used for the first time in 1926 for the ‘Grand Prix de la Marne’ and connects the villages of Gueux and Thillois. Where the two straights demanded the utmost of the machine, the curbs allowed the pilot to display his skills. As the budget for organising a circuit on public roads was vast, the Formula 1, after 1966, decided to divert to a closed circuit. Eventually, in 1972, the lights went out for the circuit. The pitlane, the control tower, the grandstand, the massive scoreboard, the paddocks, it’s all still there and being restored to its former glory. The old buildings with the nostalgic painted publicity make great pictures and are worth a detour. Halfway between Sézanne and the promontory of the Côte des Blancs lies Mondement-Montgivroux. 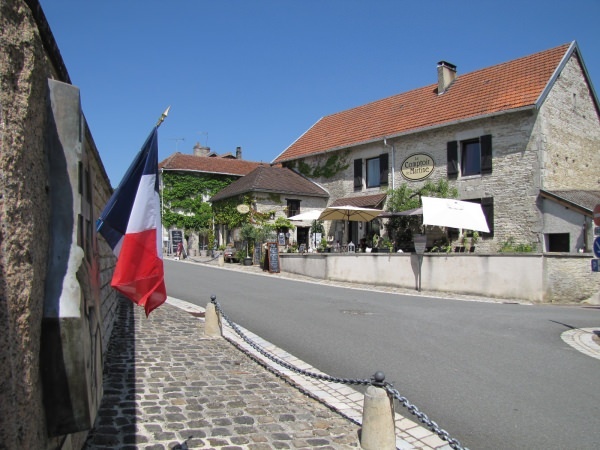 This village would have stayed quite anonymous if not for the fact that the devastating First Battle of the Marne was fought there during the first World War. 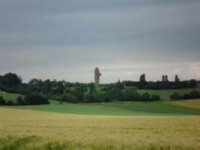 From miles away you can see an apparently bizarre monument, rising above the moors of Saint-Gond: the National Monument to the Victory of the Marne. This imposing monument is 35 meters high and made out of 2000 tons of pink, fortified concrete. The unusual construction looks like a giant menhir, rising out of the ground. It’s known locally as “ la carotte”, the carrot. Colombey-les-Deux-Eglises would have been a modest French village, if the first president of the Fifth Republic hadn’t had his residence and last resting-place there. Charles de Gaulle bought a mansion, La Boisserie, before World War II, but waited till 1946 before making it his home. Even during his presidency, La Boisserie was his official residency. He died there in 1970 and it was his explicit wish to be buried in the local graveyard, next to his daughter who had Down’s syndrome and died in 1948, at the age of 20. Today La Boisserie is a museum, but the picturesque village with it’s lovely church and graveyard makes a detour to Colombey-les-Deux-Eglises worth your while. 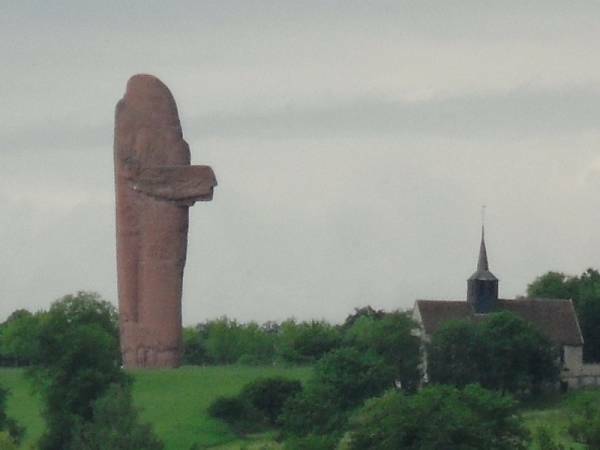 The monumental Cross of Lorraine, erected in honour of Charles De Gaulle, shows you the way. 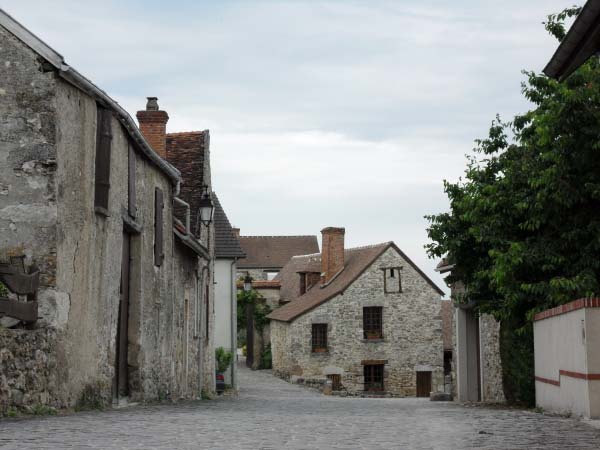 In Essoyes, a picturesque champagne village, you can make an impressionistic pilgrimage following in the footsteps of one of the most famous painters : Pierre-August Renoir. He ended up in the village looking for cheap models, felt attracted by the landscape and spent a major part of his life there. He married Aline Charigot, a local girl of simple origin and settled down in this scenic village. Since 2011 "L'Espace Renoir" has been hosting a permanent exhibition on the life of the famous painter and his family. From there you can begin a walk through the picturesque streets, Renoir’s source of inspiration, to his first workshop which is open to the public. There Renoir’s wheelchair, symbolizing his absolute dedication to the art of painting, is being exhibited. At the end of his life, he had polyarthritis, which deformed the joints of his hands and feet. "I’d rather not walk than not paint" he said and he confined himself to a wheelchair in order to save energy so he could keep on painting. 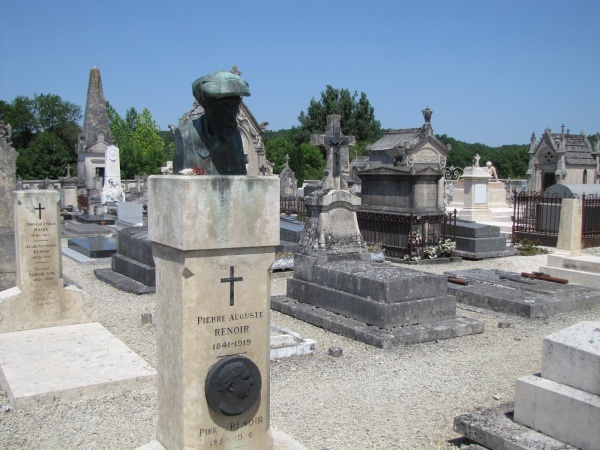 The last stop on this pilgrimage is the simple grave of the Renoir family in the local, intimate graveyard. 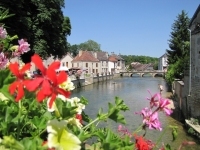 You really must visit this distinctive village in the heart of the Côte des Bars. Les Riceys has a lot to offer: listed churches, castles, chapels, old laundries and impressive winemaker houses built with white stone Iine every alley, around every corner waits a surprise. Even in the vineyards of Les Riceys you can find unusual constructions : “cadoles”. These are shelters from the 19th century. 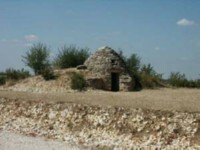 The winegrowers piled up stones they found in their vineyards and made igloo-shaped huts. They protected them from cold, rain and heat. 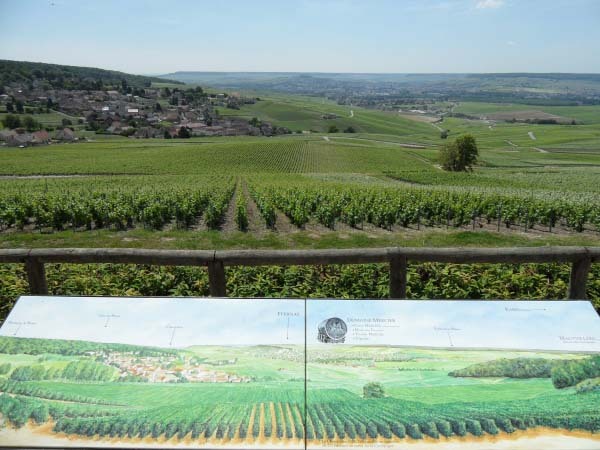 Today you can follow a mapped-out route through the vineyards and past the cadoles of Les Riceys. 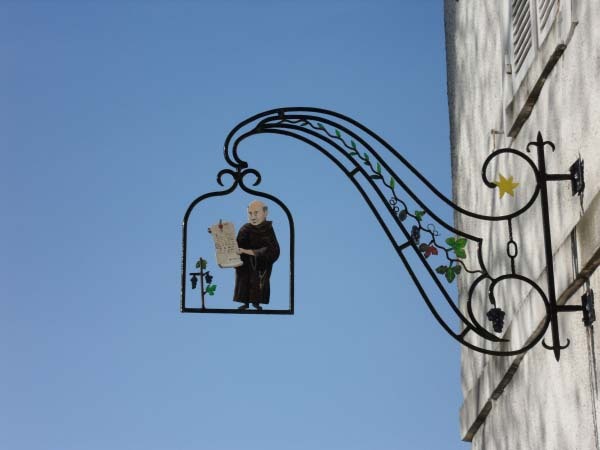 Les Riceys is the only town that has three Protected Designations of Origine (PDO): Champagne, and the still wines Coteaux Champenois and Rosé de Riceys! The last wine is an excellent rosé made of Pinot Noir, from the steepest and sunniest vineyards. It once was the favourite wine of the Sun King, Louis XIV, and is known today as one of the best rosés of France..